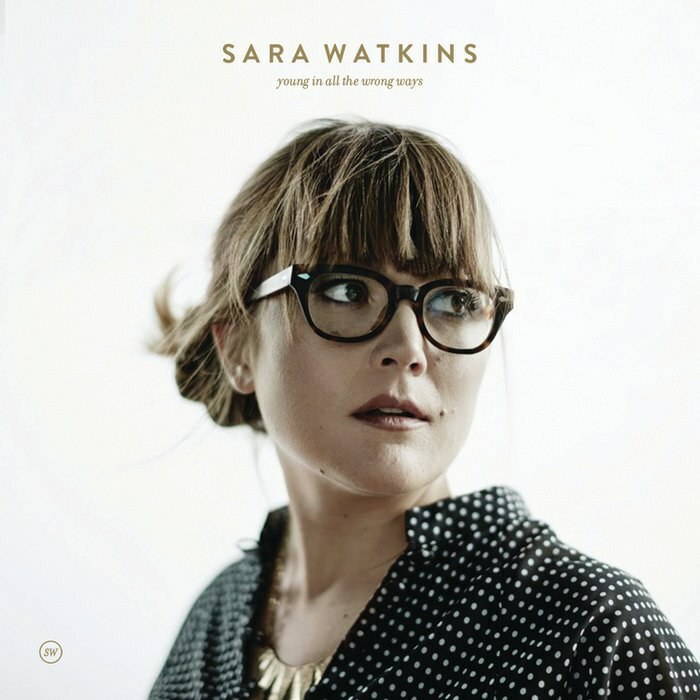 On her third solo release, Sara Watkins struggles to find a true sense of self following the end of a relationship, resulting in a multi-level transitional exercise in soul-baring and genre-hopping. At this point in the history of pop music, the breakup album could well be a genre unto itself. So prolific are songs and albums dealing with the dissolution of relationships of all types that it has virtually become something of a rite of passage for any singer-songwriter worth their salt. Taylor Swift, the current reigning queen of such things, almost seems to embark on a relationship solely in the hopes of it failing and thus providing just that much more material for her to take to the top of the charts. Yet while her take is often more childish than anything else (see: “Mean", et. al. ), there are others for whom the breakup album is a heart-wrenching experience, an emotional catharsis that finds them laying bare their fears and insecurities in the wake of an incalculable personal change. These endeavors can come in all shapes and sizes, but the best get to the heart of the issue, don’t bother with formalities or niceties and simply say what’s on their mind. Naturally, the tendency is towards the poetic, creating a romanticized version of what may have transpired, yet still retaining the inherent devastation of a significant breakup. The gold standard of all of this in terms of mainstream pop has and likely always will be Fleetwood Mac’s Rumors, an album that not only took each band member to task for their respective infidelities, but always shot to the top of the charts for an almost unfathomable amount of time given the album’s subject matter. And while the strength of Rumors lies not only in its lyrical jabs but memorable melodies, it retains a clear stylistic and aesthetic direction throughout, creating a fully-realized album rather than a collection of thematically similar songs. Sara Watkins wastes no time in letting people know that her latest album, Young in All the Wrong Ways is a post-breakup, post-label shakeup, identity crisis in the making. From the opening title track’s surging, aggressive chorus vocals through to the delicate, almost defeated moments of a song like “Invisible,” Young finds Watkins searching for a voice that best represents where she is now. That she’s able to run through so many stylistic iterations comes as little surprise, given the genre-hopping of Nickel Creek and her own solo work. But in attempting to establish a new direction, a new voice for herself, she seems at a loss as to who she really is. It's not that these songs are bad by any means. In fact, Young is a stellar collection of songs ranging in emotion from rage to sadness to defeat to contentedness, all impeccably produced and performed. Rather there's simply so many different musical ideas and identities going on that it too often plays more like someone casually scanning the radio dial than a cohesive artistic statement. Without question Watkins is an impressive vocalist and songwriter, something she displays with aplomb throughout the album. But her overly eager attempt to show off everything of which she is capable ultimately ends up detrimental to the album as a whole, confusing the overall tonality and subsequently coming off as the transitional album that it truly is. Yet it's hard to fault someone this emotionally vulnerable and open. On the title track, she takes her former flame to task, plainly stating, “I’ve got no time to look back / So I’m going to leave you here” and “You were my future but that’s in the past / You’ll get another and it might last.” Similarly, the plaintive ballad “The Love That Got Away” features lines like, “If you live long enough / You start to think about a list of / What you would do differently” and, on “The Truth Won’t Set Us Free", "I believe that he believes / Every word that he’s been saying.” Taken out of context, these lyrics appear as though cribbed from a jilted teen’s diary. But when wrapped in Watkins’ impressive musicality and nuanced performance throughout, the occasional triteness of the sentiments being expressed manage to transcend their lyrical simplicity and become something far more affecting. And from that standpoint, Young is an accomplished work of an artist in transition. While thematically of a piece, the front half of the album relies on too great a stylistic juxtaposition to be successful. Fortunately, Watkins seems to find her footing on the album's back half, delivering a solid set of songs that flow seamlessly from one to the next. In this, Young plays out almost as a real-time documentation of the post-breakup rollercoaster of emotions. You can almost feel the ebb and flow of anger and frustration giving way to sadness and longing before finally resolving to take matters into her own hands and simply move on. "Say So", a track that functions as something of a demarcation point between sides, is a powerfully emotional performance that sits right in Watkins' stylistic sweet spot, mixing hints of Americana with knowing singer-songwriter pathos. It's one of several musical high points that helps to lift the album above its own personal identity crisis, touching on where she’s been and where should could potentially find herself once the dust settles. In the meantime, Young in All the Wrong Ways is a frustratingly complex set of simple emotional sentiments render in an array of styles that finds its creator struggling to come to terms with where she is personally, professionally and, most importantly, emotionally. In that, Watkins succeeds in creating a modern-day breakup album that feels more like a true emotional catharsis than calculated cash-in. And for that, we can all be thankful.